Maybelline Color Sensational Creamy Matte Lip Color in Touch of Spice is a neutral mauve lipstick with a tiny bit of plum. Matte lipsticks have a reputation of being dry, but Maybelline claims that this line of matte lipsticks will slip onto the lips with its creamy formula. It contains .15 oz. / 4.2 grams of product and the price can retails between $5-$8. When it's swatched on my arm, it looks a bit more brown but it translate to more mauve/plum on my lips. It is incredibly pigmented and does glide onto the lips very easily. The only other Maybelline lipstick I had was super patchy and made every dry spot show. I hated that lipstick and it discouraged me from trying out their other lipsticks. Fortunately, Touch of Spice was different and went on really smoothly. I finally understand why people love Maybelline lipsticks now. This was when I had brown hair and it suited me so well. I wore it consistently since it matched with almost every look I did. I mostly wear neutrals on my normal days though. I'm trying to go lighter and I was worried that Touch of Spice would look too weird with my new coloring. It even looked great with my extremely brassy hair! I found that it was really comfortable to wear, but I did want to put on lip balm around 4-5 hours after wearing it though. It was just a mild discomfort. I ended up testing it for about 6-7 hours without touch ups and it still looked really nice at the end. 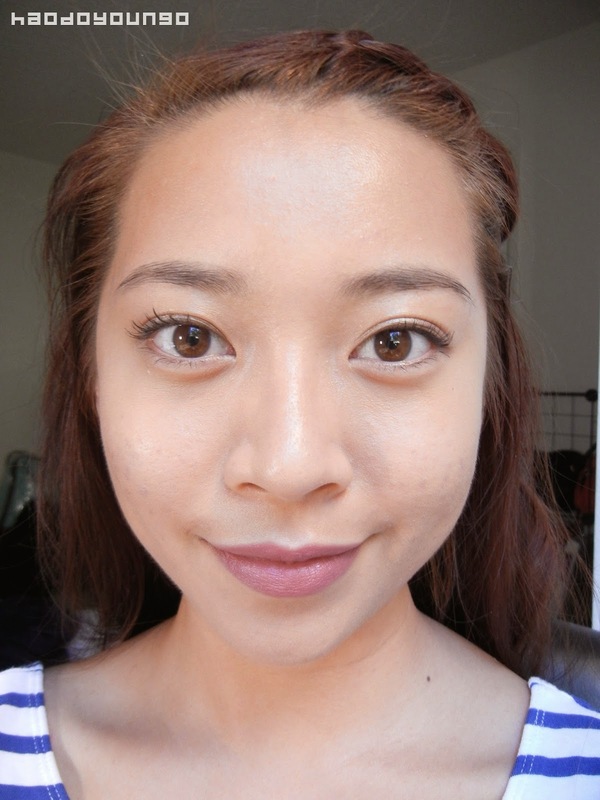 My lip lines looked more apparent, but the color stayed the same without any fading. I didn't eat that much on the day I really tested it, but I have worn it while eating and drinking. It didn't last as long, but it didn't smear everywhere or fade weirdly. The packaging is like their other Color Sensational lipsticks, but the cap is a browny plum color for all the Creamy Matte lipsticks. The product has that weird vanilla playdough smell that I hated from their other lipstick, though. I can still wear the lipstick because it's not a lasting smell, but I wish they could change the smell of the lipstick. Final Thoughts: I'm so impressed with this lipstick and the color. It's definitely a color anyone can wear and it's very comfortable. It's moisturizing, unlike some other really drying matte formulas. A lot of people in the makeup forums I visit also love this color and I know it's been flying off the shelves. I highly recommend this shade and now I'm eyeing all of the colors from the Creamy Matte range. Have you tried this shade? What do you think about it? I just toned my hair two nights ago and it doesn't look as yellow anymore so I'm so happy! I want to go lighter and then eventually silver though. Reddish brown highlights would look so good on you! I'm glad that Kylie Jenner brought back the darker almost 90 nudes. I never knew they could be so flattering! and it's okay! I feel awkward including my blog link when I comment on people's posts for some reason.